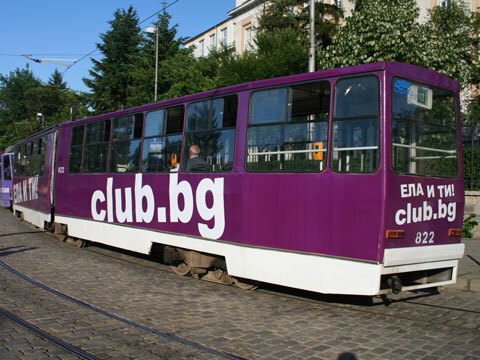 The no 12 tram with an ad for club.bg rolling down Hristo Smirnenski Blvd. in Lozenets. 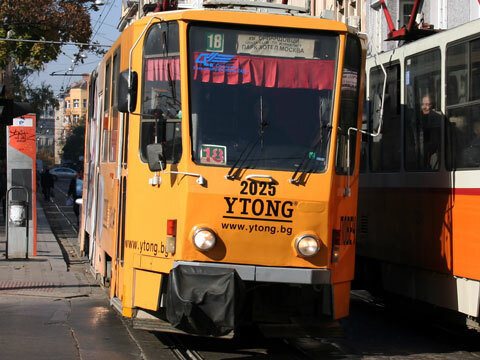 The no 18 tram on Graf Ignatiev heading out from the center. Notice the hand made sign. Can’t quite make out the company ad, though. 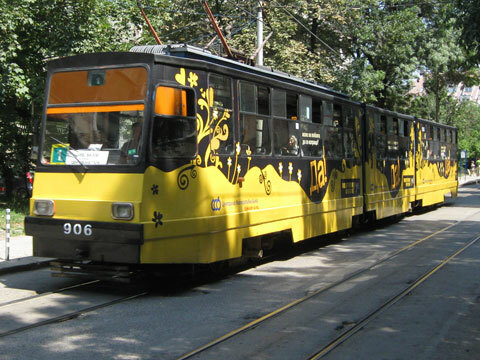 The no 1 tram in Ivan Vazov. Send cash by western union! 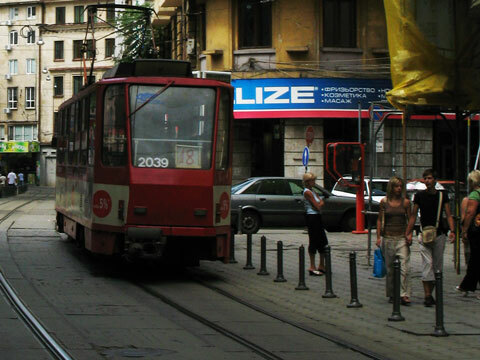 Have you seen any new tram ads? Post a reply!